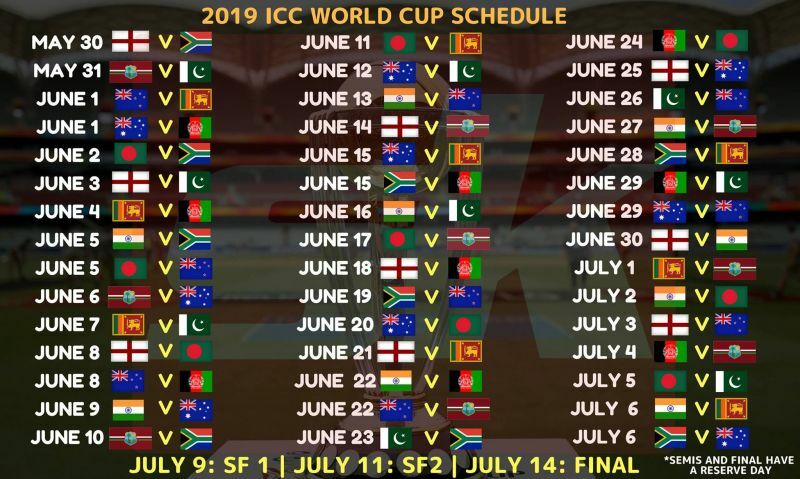 Get ICC Cricket World Cup 2019 Schedule with Live Streaming sites and Global TV Live Telecast list. CWC 2019 is starting from 30th May in England and Wales a total of 48 matches will be played in this tournament. Cricket World Cup 2019 Fixtures, Match Timings, Schedule, Live Streaming and Live TV Channel list is available here. ICC Cricket World Cup will be starting from 3o May this year. This mega cricket tournament will be held in England and Wales. A total of 10 teams will be participating in this season of CWC which include India, Pakistan, Bangladesh, Sri Lanka, Afghanistan, New Zealand, Australia, South Africa, England and West Indies. The Cricket World Cup 2019 will be live telecast all over the globe. Many Tv Channels have acquired the official broadcast rights in different countries. Moreover, ICC Cricket World Cup 2019 Live cricket Streaming will also be available at official live streaming sites.